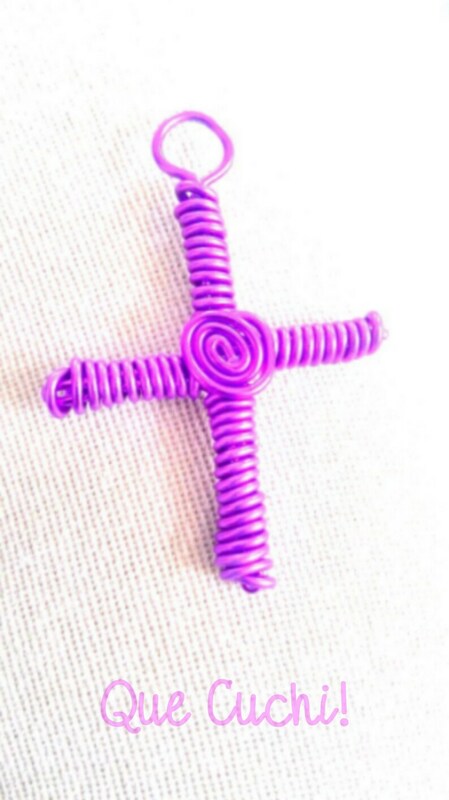 Cross about 5 cm long made with purple aluminum wire (on order I can do it with other colors) of 1 mm with a spiral in the middle. The terms cross come from the Latin word crux which has the meaning of "post", "gibet", even "gallows". 5 meters of wire of silver aluminum 1 mm for creative leisure. 10 meters of black aluminum wire of 1 mm for creative leisure. 10 meters of green aluminum wire of 1 mm for creative leisure.